On July 9, 1993, the Parliament of Canada passed the Nunavut Act which established the territory of Nunavut, which would come to realization sometime in the future. On April 1, 1999, Nunavut became a legally distinct territory. Today, we celebrate Nunavut Day 2018. 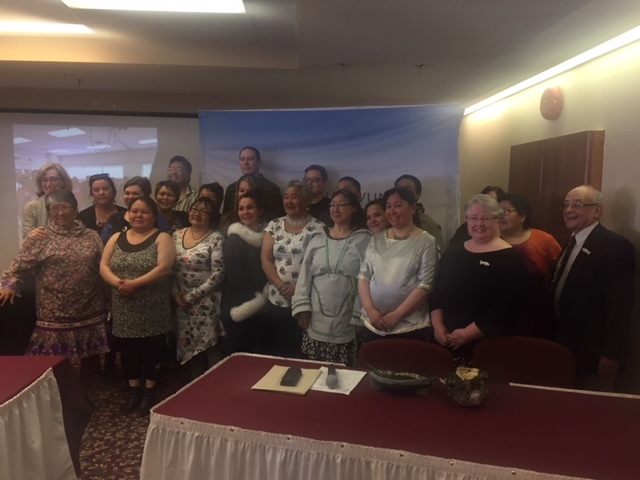 Dalhousie and Nunavut have enjoyed close ties beginning with Dr. Robert Moody who was Deputy Minister of Education in the Government of Nunavut. 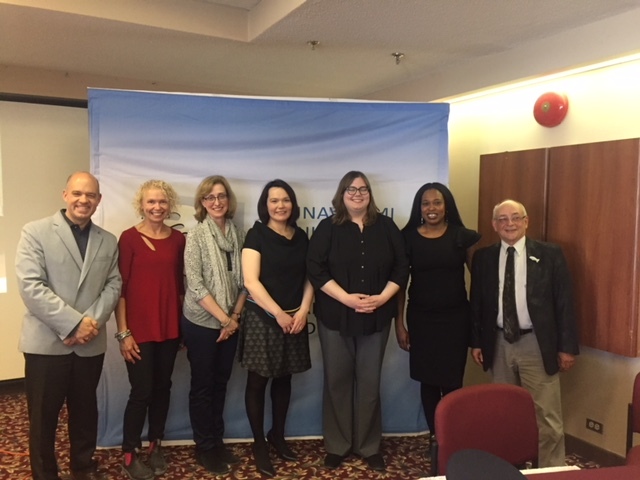 As well, Dalhousie’s Faculty of Management, a member of a tripartite consortium with the Institute on Governance and PGF Consultants, is involved in two projects with the Government of Nunavut. The objectives of these projects are to enhance the leadership and policy formulation capacity of the Government of Nunavut. 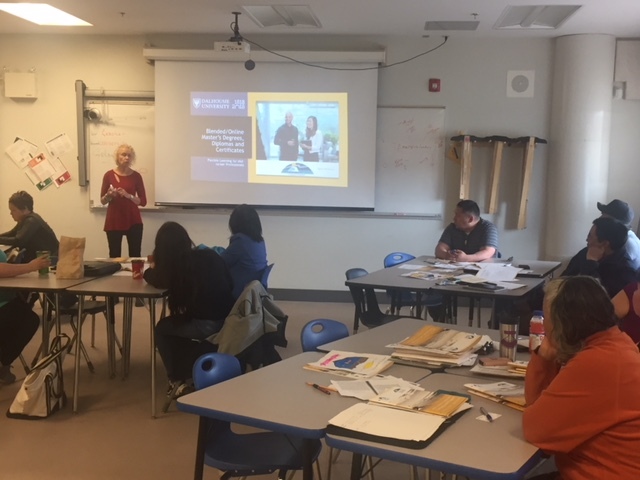 Dr. Vivian Howard recently travelled to Rankin Inlet where she met with the participants in the “Emerging Leaders” certificate program to discuss pathways into the Centre for Executive and Graduate Education (CEGE) programs. Dr. Vivian Howard presenting to Emerging Leaders participants. There was significant interest in the MPAM, MIM, and MBA options. I was honoured to join in the graduation ceremony, where 21 Government of Nunavut employees, all Inuit, received their certificates. 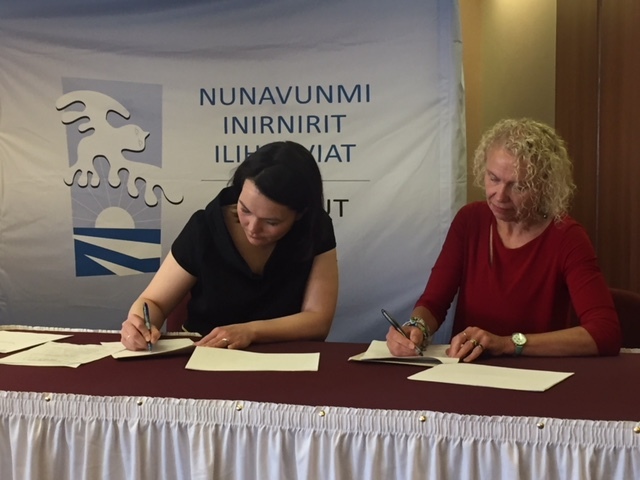 Another highpoint of my visit was participating in the signing of the amended Memorandum of Understanding between Dalhousie and the Government of Nunavut. Dalhousie has a long history of involvement with Nunavut. I am proud of what has been accomplished and look forward to future partnerships and collaborative opportunities. Institute on Governance, PGF Consultants, Dalhousie, Government of Nunavut team at the graduation ceremony. Congratulations to the cohort of graduates!